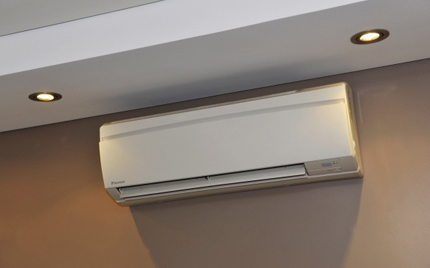 Shoalhaven Air & Electrical can supply and install all types of reverse cycle air conditioning and heating systems in your home, office or commercial premises. We also offer a range of maintenance solutions to keep your system running efficiently and prevent costly breakdowns. Our comprehensive range of air conditioning systems and units covers all budgets and property types. Contact Us to find out more about air conditioning installation or the air conditioning systems we offer. Free advice and free quotes! Ducted air conditioning is a quiet and efficient way to control the temperature of your home or office, with the ability to separate into zones or even separate rooms. Ducted reverse cycle air conditioning offers the best solution for air conditioning, where the installation allows for the correct design and installation. So, weather it’s cooling on a hot summer’s day, or heating on a cold winter’s morning we can design and install a system that suits your exact needs and budget. 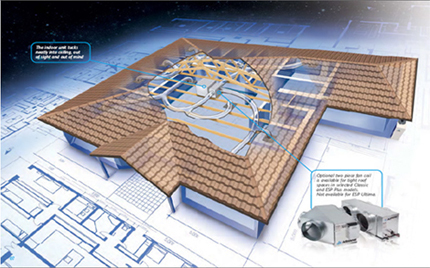 As most of the equipment is placed in the roof or under the floor, ducted air conditioning offers the most unobtrusive type of air conditioning. 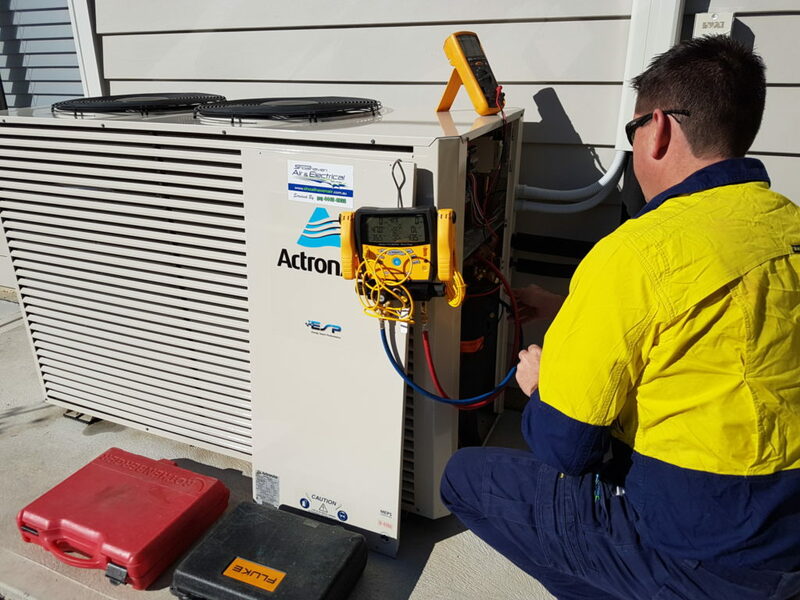 Call Us today for an obligation free quote on Ducted Reverse Cycle Air Conditioning in the Shoalhaven, Southern Highlands and Shellharbour Regions. Ducted Gas Heating is great for cooler places or climates where heating is the preferred option. With the option of natural gas or LPG, gas ducted systems can be installed anywhere, although they are far more commonly used for colder climate where a cooling system isn’t the major requirement. Ducted gas heaters are almost silent in operation, as the only moving part is a fan motor, which makes a perfect choice for residences, as no outdoor noise is heard from neighbors or occupants within the home. Ducted gas systems can be installed either in the roof or under the floor, with the furnace mounted internally or externally. 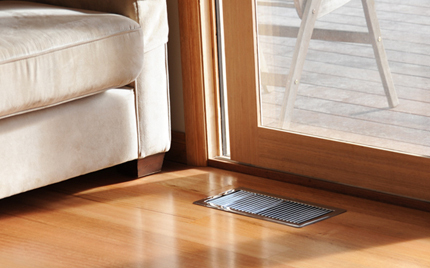 With the option to install Add on Cooling, your Braemar ducted heating system can be used to cool your home also. Ducted gas systems are ideal for people living in Southern Highlands and Shoalhaven where cooling the home isn’t so important if cooler climates exist or sea breeze is the chosen cooling system. In lower temperatures the economical efficiency of a ducted reverse cycle air conditioning or split systems drops off and does not heat the house as effectively. Ducted gas systems are super quiet as they have a quiet internal fan. You may either install under the floor or in the roof where you will hear nothing. Call Us today for advice or any further information or request obligation free quote on ducted gas heating in Southern Highlands and Shoalhaven. Split systems are a cheaper option to cool or heat a single room in your home or office. The indoor unit is mounted on an internal wall of the building and the outdoor unit is located outside. These systems are relatively quiet in operation, depending on the size of system, brands and installation methods used. Limited Space: Split systems are ideal for single rooms or where small roof space may restrict a ducted system been installed correctly. They are neat and have all the functionality of ducted system. Value for money: As hot summers and cold winters are unbearable you need a climate control inside your home but cost might sometimes be inhibitive. Wall mounted split systems are not only cheaper to install, but can also be cheaper to run then a ducted system. Right installation of the system, is as important as the type of system you buy. Call Us today for a free quote split system air conditioning in the Shoalhaven. Air Conditioning Maintenance – Prevention is cheaper than the cure. 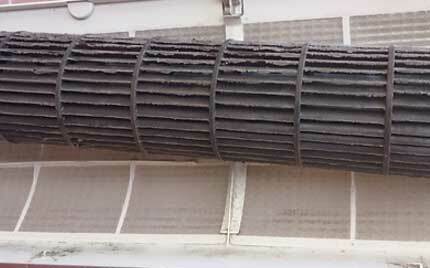 Maintenance on air conditioning systems is very important is often left until a break down happens. Even from the smallest wall splits to large commercial systems, maintenance is critical to maintain maximum efficiency and performance. The basic wall split found in most homes has a fan scroll within the indoor unit which can get very dirty reducing air flow and in turn reducing performance and efficiency. Simple cleaning and regular maintenance will ensure systems are kept in good working order. Drains remove the water from the indoor unit usually mounted in the roof or on the wall. Build-up of dirt over time will cause drains to block and water leaks to occur down the wall or through the ceiling. Drains are cleaned and flushed during our maintenance so you can be assured your system will operate when needed. Call us today for an obligation free quote on the servicing of your air conditioning system. We also provide a FREE condition report with any new customer.